The Economic Hardship Reporting Project, a journalism nonprofit founded in 2012 by Barbara Ehrenreich, aims to change the national conversation around poverty and economic insecurity. The stories that EHRP commissions—from narrative features to photo essays and video productions—put a human face on financial instability. EHRP has placed its contributors’ reportage and photojournalism at The New York Times, NBC News, Politico, The Verge, Vox, Vogue, The Atlantic, The New Yorker and many others. NYLON’s Kristin Iversen sits down with Economic Hardship Reporting Project’s Alissa Quart and director Maisie Crowe for an in-depth look at Jackson, the 2018 Emmy Award-winning documentary about how abortion restrictions affect three women in rural Mississippi. 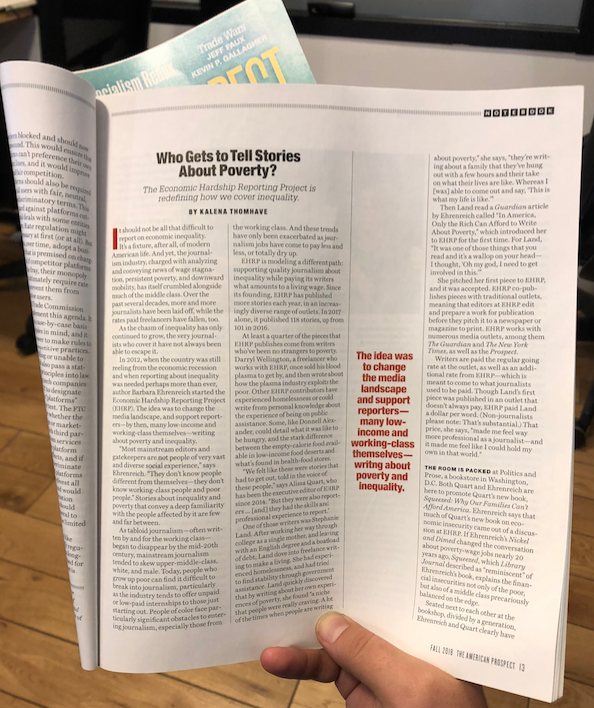 Jackson might not have been made without crucial initial funding from EHRP, the journalism nonprofit dedicated to changing the way economic disparity is covered in the U.S.
PKPR placed a 3,000-word feature on the Economic Hardship Reporting Project in the fall 2018 print issue of The American Prospect. You can read the article here. 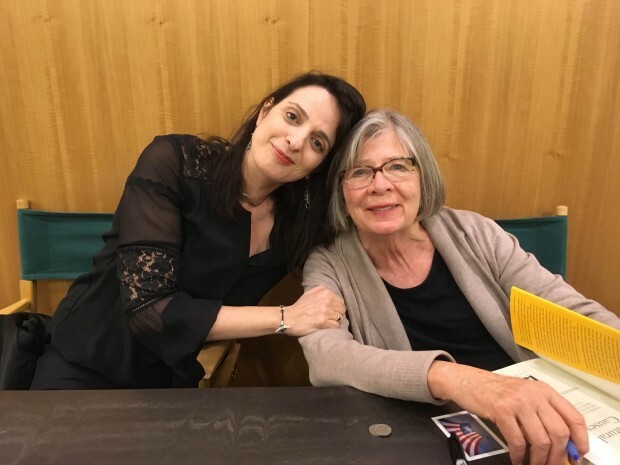 Check out this awesome interview with Barbara Ehrenreich and Alissa Quart about the Economic Hardship Reporting Project. PKPR booked Alissa Quart, executive editor of Economic Hardship Reporting Project, on Morning Joe this morning to discuss her new book Squeezed: Why Our Families Can’t Afford America. Watch her segment here. 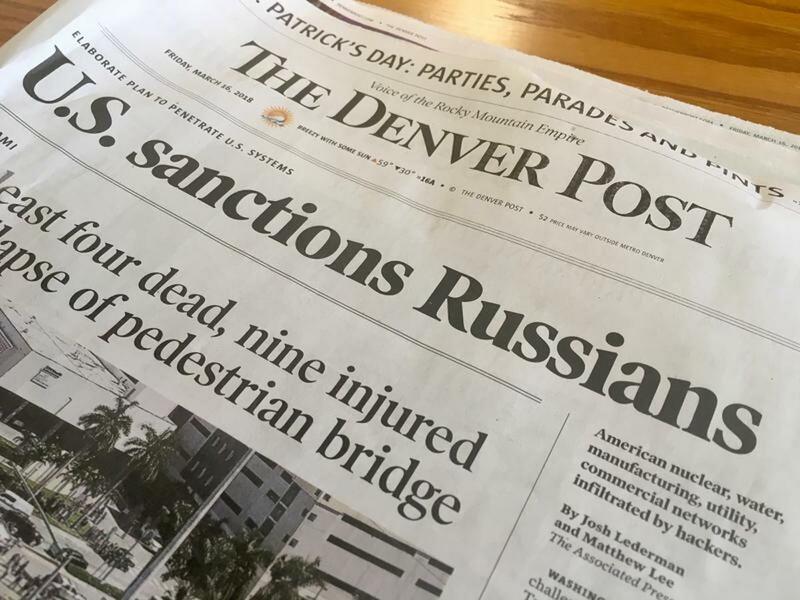 In the wake of major layoffs at The Denver Post, The Economic Hardship Reporting Project (EHRP) announced a fund to enable reporters and photographers laid off by the newspaper to produce feature-length stories about growing economic inequality, both in Colorado and America.